Utilities in Virginia and North Carolina are pushing an unnecessary pipeline, despite intense opposition from local communities. These are the stories of the people who will pay the price for Dominion and Duke’s wasteful project. C’ta DeLaurier reflects as she looks out across the same acres of tree-topped mountainscape that her ancestors did. DeLaurier is talking about the contentious Atlantic Coast Pipeline, a $5-6 billion project that not only puts people living along its path at risk, but also threatens waters and land across three states and locks citizens into using a dirty fuel that will raise monthly power bills and devastate our precious natural resources. To build the pipeline, two major utility companies in the mid-Atlantic region, Dominion Energy and Duke Energy, are attempting a 600-mile-long land grab from West Virginia through the Appalachian Mountains, then east to the shores of Virginia and south to North Carolina. And it’s all, the utilties say, because their customers need more natural gas. But there’s increasing evidence we don’t need their pipeline to get the gas where it will be needed or to get it there as cheaply as possible. This rush to build pipelines in the South and across the country has brought new scrutiny to how our nation’s pipelines are built—and who ends up paying for them. The 600-mile pipeline will cut through private property, waterways, mountains, and two national forests. DeLaurier’s family has deep roots on their land in Shipman, Virginia, going back generations to her Cherokee, Scottish, Irish, African-American, and German ancestors. Dominion Energy plans to seize a swath of her family’s home and farm to build its Atlantic Coast Pipeline, land that contains family graves and structures built by her great-great-grandfathers. DeLaurier finds this a hard pill to swallow, especially given what she has learned about the dropping demand for natural gas. The load may not be growing, but the return on investment for building a pipeline in today’s environment is so alluring—with federal approval comes a 15 percent guaranteed rate of return on the pipeline builder’s investment—that it quickly becomes evident why utilities like Dominion Energy and Duke Energy would want to find a lucrative pipeline project they could justify quickly. The current business model for building a pipeline is a sure revenue generator for their shareholders, whether or not the public ever uses the natural gas it is meant to deliver. 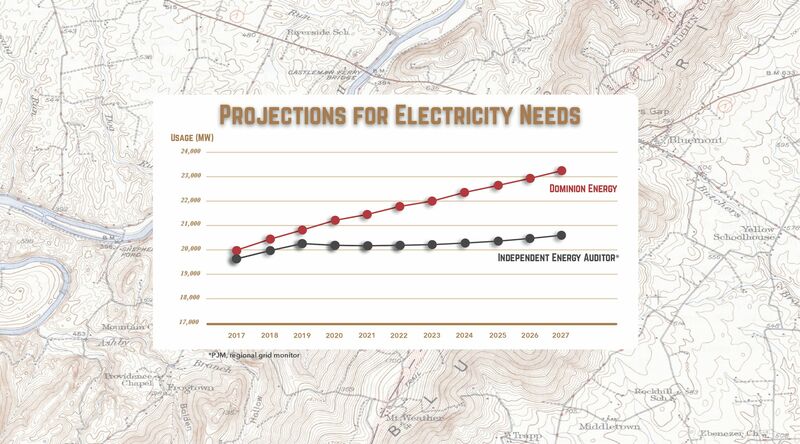 In fact, the managers of the mid-Atlantic electric grid, PJM, have developed electricity demand projections showing a no-growth trend and, in some cases, a drop in demand. PJM is a neutral, independent party charged with managing the electric grid to ensure reliability for more than 65 million people; with a vested interest in getting these numbers right. Yet Dominion Energy’s projections are notably higher than PJM’s. -Southern Environmental Law Center Senior Attorney Greg Buppert. 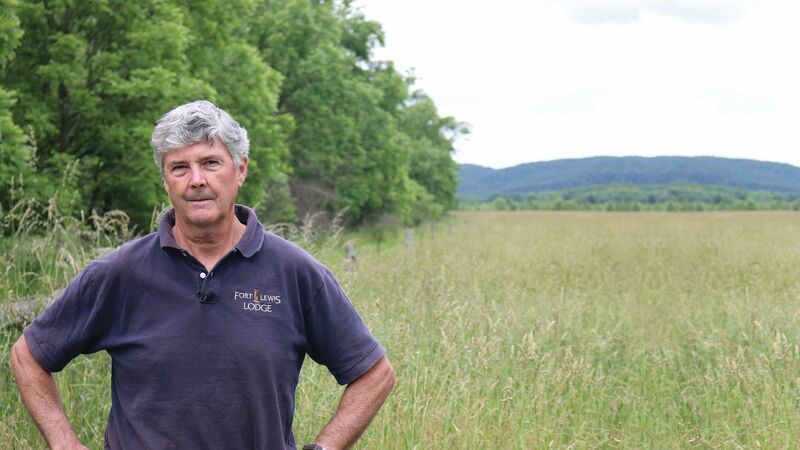 “Landowners are losing their property to Dominion, and no one is addressing this very real question about whether we even need the pipeline,” says SELC Senior Attorney Greg Buppert. “We’ve asked FERC to take a look at this, meanwhile developers are trying to push construction through as mounting evidence that the only purpose for this pipeline is shareholder gain catches up with them." One big question regulators aren’t asking: just how much natural gas is needed today and even thirty years down the road? Instead, the standard set by federal policy simply requires utilities like Dominion Energy and Duke Energy to submit contracts showing the gas will be sold. This becomes easy to do if you own the customers, as well as the suppliers. In the case of the Atlantic Coast Pipeline, Dominion Energy and Duke Energy partly own the companies at each step of the process, from the builders of the pipeline, to the “shippers” of the natural gas along that pipeline, to the utilities that will use the gas to fire power plants and deliver electricity to customers. From top to bottom, the process is owned and controlled by the utility companies that stand to gain the most from this pipeline. Buppert argues that’s exactly why the Federal Energy Regulatory Commission, or FERC, needs to change its rubber-stamp policy. “It’s FERC’s responsibility to determine if this pipeline is a public necessity before it allows developers to take private property, clear forests, and carve up mountainsides. Mounting evidence shows that it is not,” says Buppert. Even more egregious is that, in testimony at the Virginia State Corporation Commission, Dominion Energy representatives testified that the pipeline’s cost will translate to anywhere from $1.6 billion to $2.3 billion being passed on to the ratepayer—regardless of whether or not the pipeline would ever be used. For C’ta DeLaurier and other landowners like her, there is so much more at stake than FERC or Dominion Energy is willing to admit. As she stands in front of a historic marker for the catastrophic 1969 Hurricane Camille, DeLaurier’s voice wavers when she recalls her neighbor who was killed in landslides that came rumbling down the steep mountain slopes. 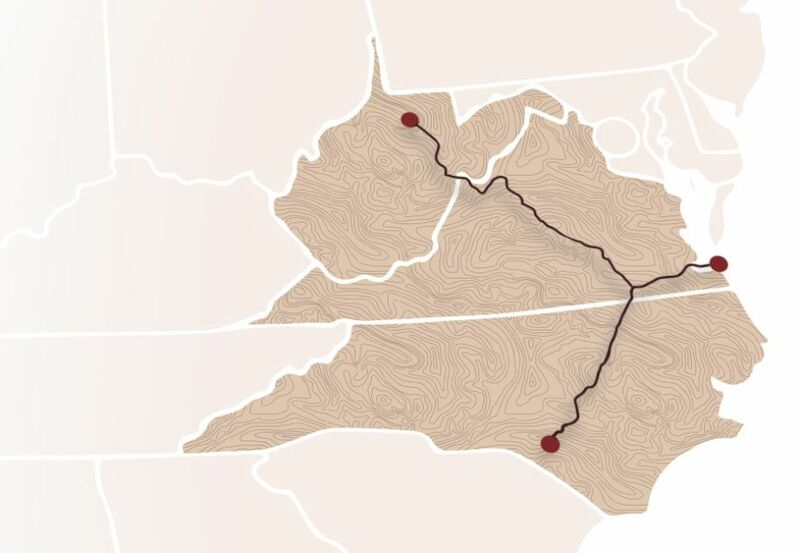 The path of the Atlantic Coast Pipeline would cross 108 miles of those same slopes, with no plans for how to keep the mountain intact in the process. In many places, crews will need to cut down the ridges along several mountains, a plan that has environmental experts worried about the possibility of erosion, dirt clogging streams, and, in a worst-case scenario, landslides. Other pipeline projects in the area have struggled to meet their permit requirements, with streams of mountain soil pouring from worksites into adjacent waters. DeLaurier exasperatedly wonders whether Dominion Energy has thought through its plan. For many of the people living along the path of this pipeline, it’s not just environmental safety concerns that trouble them but also the potential for accidents and explosions. In 2015, an unannounced visitor strode up to a family home not far from the George Washington National Forest in Churchville, Virginia. What transpired over the next hour would take Jason and Leslie Harris from living a quiet life in the countryside with their four children to constant worry about what may soon become of the home and life they’d built. Jason Harris describes a Dominion Energy agent, with papers in hand, suggesting he had no choice but to sign over portions of his property to the utility. Soon after that visit, Dominion Energy came through, dropping markers not far from the home to delineate the pipeline’s path. Leslie and Jason Harris were shocked by how close it would be to their home, just 250 feet. Their fears are not unfounded. In 2016, a natural gas transmission line in Pennsylvania’s Westmoreland County exploded. At the time of the blast, 26-year-old James Baker was in his nearby home recovering from an ankle injury. He received third-degree burns on 75 percent of his body. The Westmoreland explosion sent balls of fire into the sky so intense that people half a mile away reported feeling the heat from flames. According to the Pipeline and Hazardous Materials Safety Administration, there have been 75 recorded deaths and 372 injuries over the last five years associated with transmission pipelines. 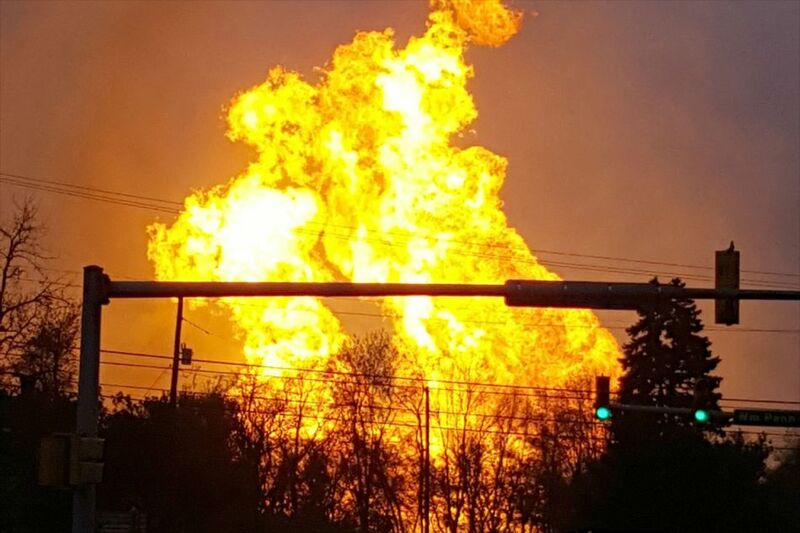 More recently, a natural gas pipeline exploded in West Virginia. While no one is harmed, many noted that the pipeline was smaller than what’s proposed for the Atlantic Coast Pipeline. The explosion in Westmoreland County, Pennsylvania, sent balls of fire into the sky so intense that people half-a-mile away reported feeling the heat from flames. FERC’s determination of whether the public truly needs this pipeline—as opposed to whether the companies just want it—gets to the heart of Dominion Energy and Duke Energy’s ability to seize land from people along the proposed route of the Atlantic Coast Pipeline. For landowners like 84-year-old Hazel Palmer, who lives in Augusta County’s Lyndhurst, Virginia, it’s clear that Dominion Energy is abusing the law. “I can tell you not to come on my property. But to tell them not to come on my property, then they sue me,” says Palmer. Dominion Energy took Palmer to court, suing her for the right to survey her property without her consent. 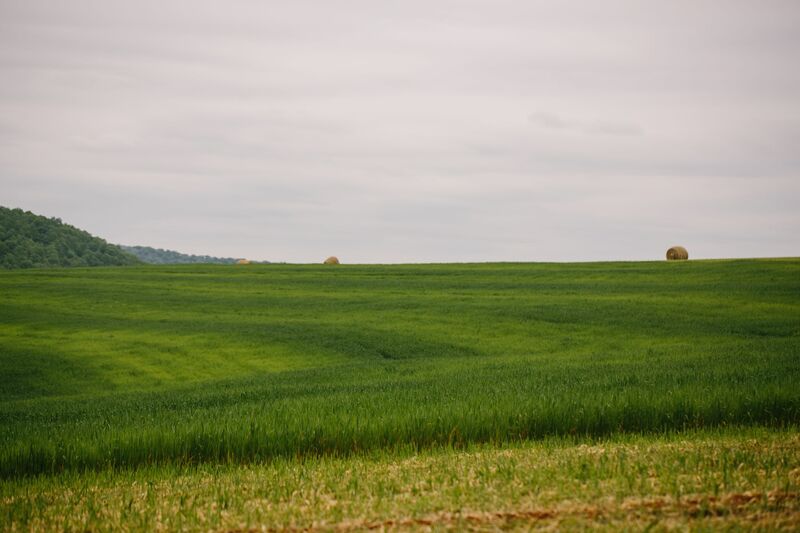 The pipeline company anticipates clearing a 125-foot-wide swath of Palmer’s land for a construction corridor, cutting across her 110 acres of land and seizing a 50-foot easement for the pipeline’s right of way. Palmer’s daughter Denise Everhart, who now lives on and cares for the property, describes what she says the construction will do to their land. “It’s like a four-lane highway coming through,” she says as she stares across what is now densely tree-lined Blue Ridge forest. With personal property rights of Americans at stake, people are joining the fight against the Atlantic Coast Pipeline and calling on FERC to pull back the curtain on the unscrupulous way in which Dominion Energy and Duke Energy are cloaking shareholder profits behind false claims of public need. Many proponents of the Atlantic Coast Pipeline tout the jobs it would create. The reality is that, in Virginia, Dominion Energy will only add 39 permanent jobs once the pipeline is built, and the temporary jobs that come with constructing the pipeline are likely to go to people with expertise from other parts of the country. Left out of that employment calculation are all the jobs associated with current and potential businesses along the pipeline’s path that will disappear, not to mention lost revenue for those businesses and, thus, the state. According to the Virginia Governor’s office, the Commonwealth’s tourism industry puts $1.6 billion in state coffers each year and, in recent years, the lodging industry for tourists has seen the biggest increases in travel expenditures. Fort Lewis Lodge in Bath County is just one of the many resorts in Virginia that draws tourists to the Appalachian mountains. It’s nestled along the Cowpasture River, known as one of the most pristine rivers in the eastern half of the United States. Over 30 years, owner John Cowden has built a successful business offering hiking, biking, and trout fishing. From cooks, to guides, to people tending the land, he employs around 35 to 40 people throughout the year. 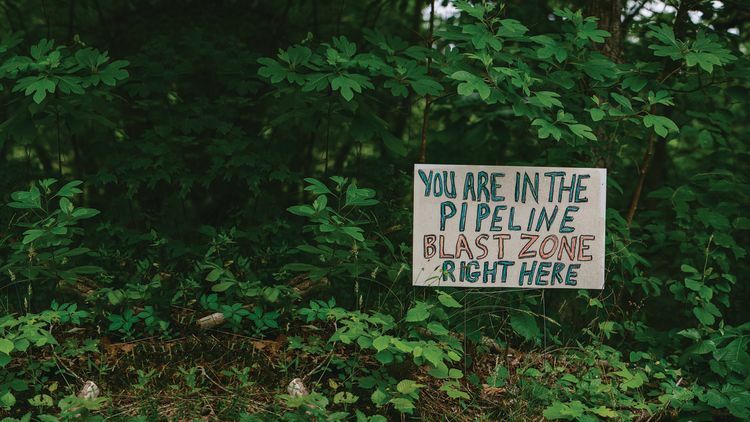 Now, with threat of the pipeline crossing his scenic forested property in three different locations, and breaking up the land with two permanent access roads, he fears he may be shutting down for as long as two years. “It would be devastating to our business, of course. But it’s not only me. It’s my employees. It’s tax revenue to the county,” Cowden says. One major feature of Cowden’s lodge is its proximity to the Cowpasture River. The Atlantic Coast Pipeline is proposed to cross the river, which means there is likely to be blasting in and around the river, raising serious environmental concerns about the permanent damage to this important waterway in Virginia. What Cowden really laments in this situation is the state’s hesitation to take an active role in reviewing Dominion’s plans and ensuring Virginia waters are protected. “Big business you’d almost expect it from,” Cowden says. “I mean they’re all out for profit, we know that.” But he questions where the government and, more specifically, where state officials stand on protecting our water and his business from Dominion’s profit-seeking overreach. 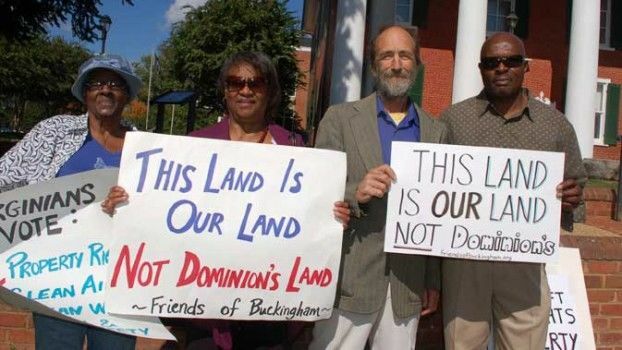 Virginia’s Buckingham County is home to the largely black historic community of Union Hill, where Atlantic Coast Pipeline developers have purchased land to build its compressor station. Building an interstate pipeline requires more than just a single tube. With pipeline construction comes large compressor stations along its route. These massive structures work to maintain natural gas pressure as it moves through the pipeline, putting out large amounts of methane and other air-polluting toxins in the process. 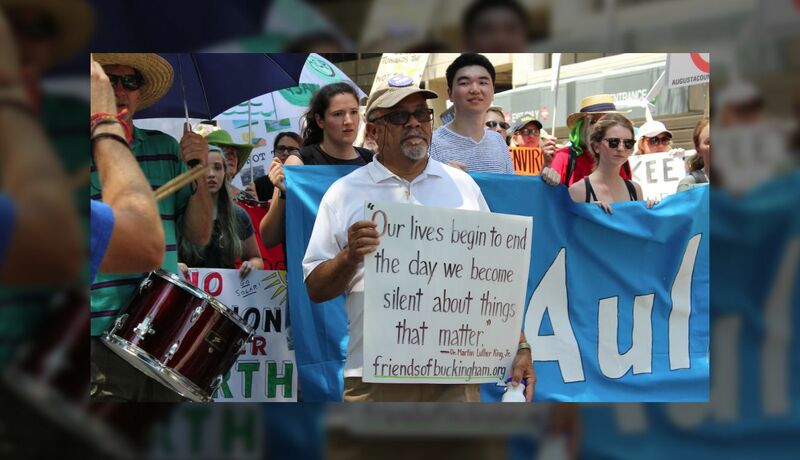 Atlantic Coast Pipeline developers slated construction of large compressor stations in predominantly African-American communities in both Virginia and North Carolina. Laury laments not just his proximity to this proposed station but also that of his neighbors, who are even closer. But the land seizure in Union Hill goes far beyond the personal property rights of its residents. In May 2016, Preservation Virginia listed Union Hill as a “Most Endangered Historic Place.” Like Perkins and Gillespie, many of the African-American members of this community trace their heritage back to the Freedmen of Union Hill who settled this area following the Civil War. 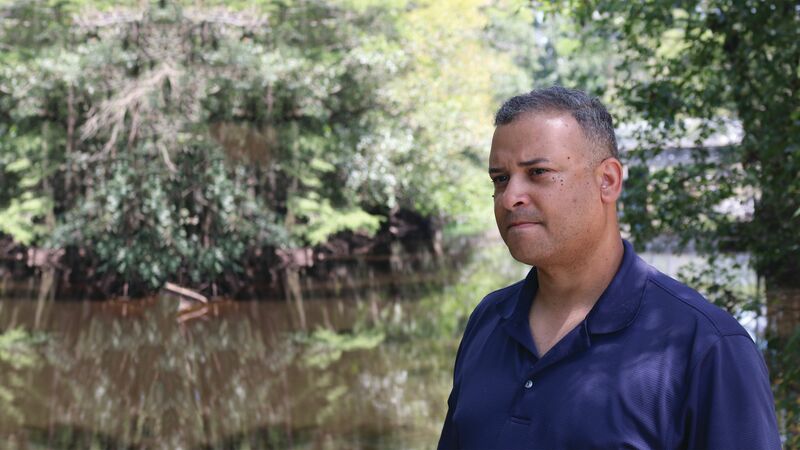 The compressor station itself is slated to be built on the property of a former plantation; and the area contains numerous historically significant buildings and churches that were constructed by African Americans following emancipation. Yet in its final assessment of the route of the Atlantic Coast Pipeline project, FERC made no mention of the historical and cultural significance of the 68 acres Dominion Energy is planning to take to build its compressor station. 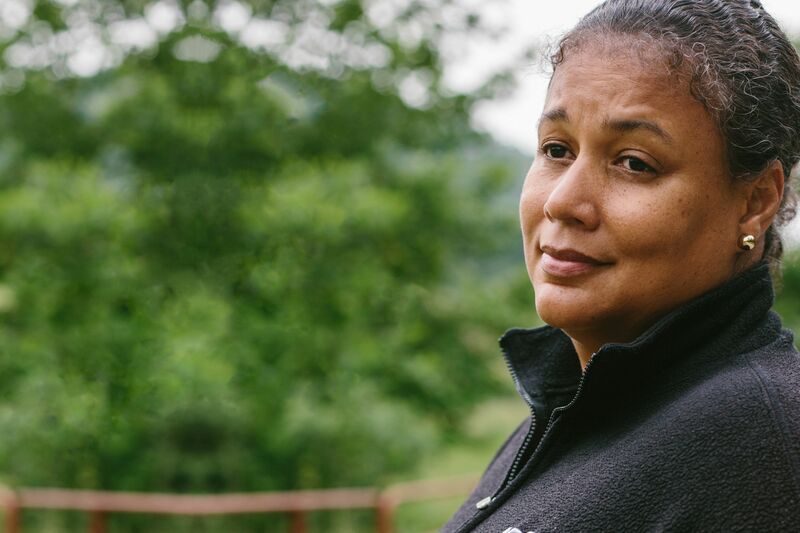 Looking at the proposed route of the Atlantic Coast Pipeline, it’s clear that communities of color and low-income citizens would bear an undue burden from the construction and operation of the Atlantic Coast Pipeline. According to FERC’s own, limited analysis, more than half of the 105 census tracts in Virginia and North Carolina within one mile of the proposed pipeline’s route have disproportionately high populations that are low-income or communities of color, including many Native Americans. C’ta DeLaurier, the Harris family, Hazel Palmer, John Cowden, Marie Gillespie, and Cora Perkins all have immediate and pressing problems with the Atlantic Coast Pipeline—concerns that deserve close and careful attention from the regulatory agencies responsible for determining the public necessity of projects like the Atlantic Coast Pipeline. But there are tens of thousands of people who will see their monthly bills go up to pay for a pipeline that, based on objective estimates of current market demand, appears to benefit only the pockets of Dominion and Duke Energy and their shareholders. SELC’s finding that the pipeline carries a $2 billion price tag for Dominion’s Virginia customers alone is just one example of its monetary costs. Also at risk are the thousands of waterways in North Carolina and Virginia that the pipeline will cross, waterways that state environmental regulators like Virginia and North Carolina’s Departments of Environmental Quality have the authority to protect. But the agencies have not yet even committed to reviewing how the Atlantic Coast Pipeline could harm drinking water supplies for numerous communities in its path. That’s what is at stake in the here and now. Look further down the road and a pipeline with an 80-year lifespan points to another key issue: the very real possibility that future generations will be paying for a fossil fuel relic even as more and more clean energy comes online. It has become clear that the Atlantic Coast Pipeline does not meet the necessary regulatory criteria of serving a “public need,” will unnecessarily cost utility payers, will strip people of their personal property, and will put thousands of waterways and hundreds of acres of forested land in harm’s way—all for the benefit of a small number of utility company shareholders. 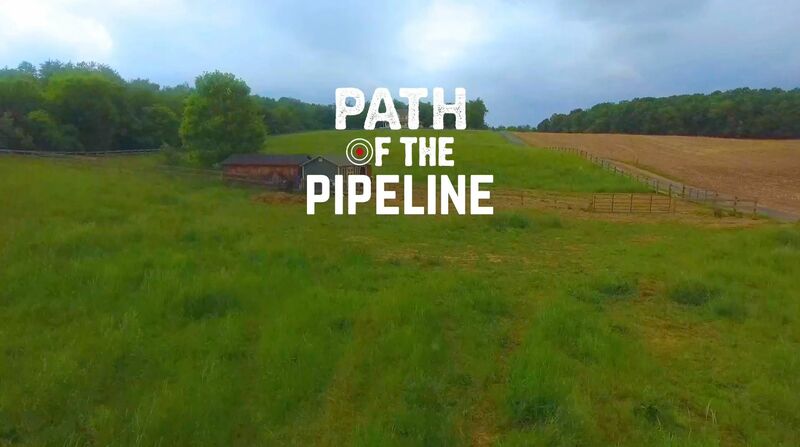 The Atlantic Coast Pipeline shines a spotlight on how developers and public utilities use their influence to fast-track natural gas pipeline projects when there is neither a public need for increased natural gas production nor a public benefit from providing it. What happens next will reveal how committed state and federal officials are to putting public good over private gain.